Whether it’s the top or bottom of the morning, this white ceramic Irish coffee mug can be customized through any of the numerous personalization and style options we offer. 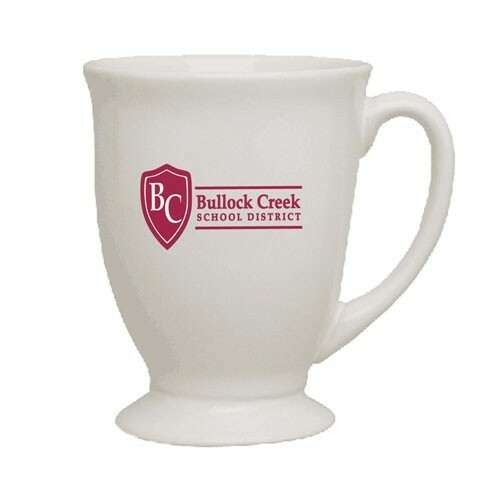 Holding 9 oz., this white ceramic mug is sure to be a hit with your valued guests and clients. Ideal for coffee shops, tourist attractions, bookstores, hotels and more! This is a great product for highly detailed emblems or logos.